Tubeless Easy for Cyclo-crossers. 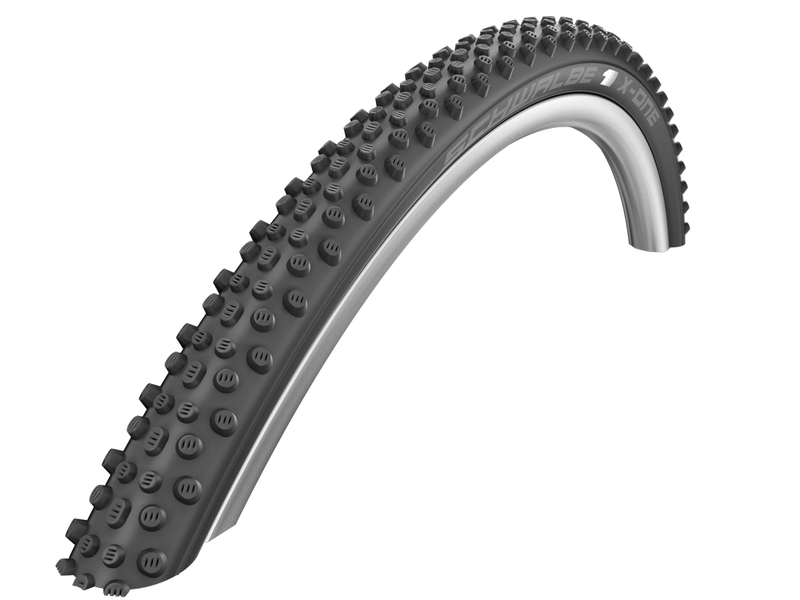 The new profile and OneStar rubber compound make the Schwalbe X-One one of the fastest cross tyres ever. To make it the absolute high-flyer, mount it without a tube on a tubeless-compatible wheel. Schwalbe Evo Line tyres are made using the highest-grade materials to the very best possible standard. The latest technology is used making the Evo Line Schwalbe's top of the range tyres. Tubeless tyres bring clear advantages in speed, comfort, grip and puncture protection. Schwalbe's new patented MicroSkin construction means they can create tyres that can be easily mounted tubeless, whilst being significantly lighter than previous tubeless tyres. They also offer additional improved rolling resistance and all around improved cut resistance. Tubeless Easy tyres can also be used with a tube, but the best performance can only be achieved in tubeless mode.